with the farm, coffee shop and toilet block. 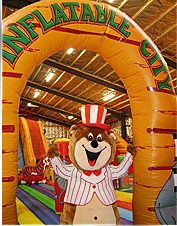 an attraction having both indoor and outdoor play area’s. Our facility is now an all year round attraction no matter the weather.